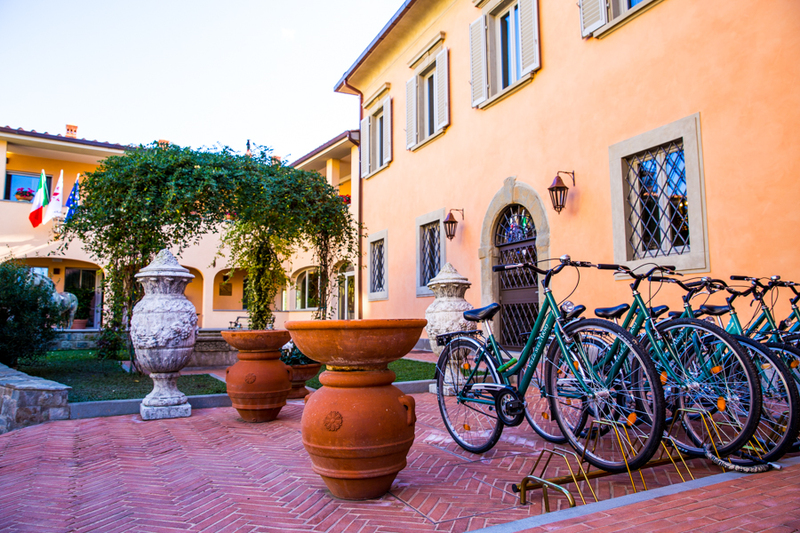 Hotel Ville Sull’Arno, an Italian retreat just a short walk from the center of Florence on the bank of the Arno River. 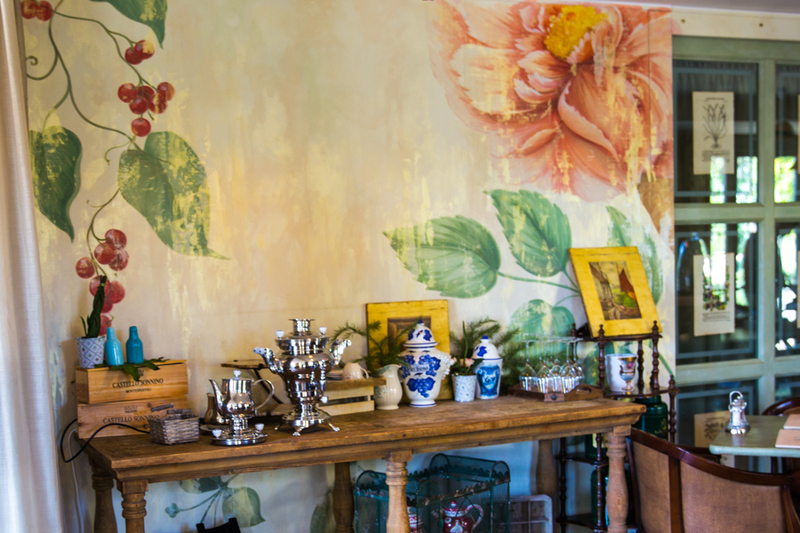 Ville Sull’Arno has the artists’ touch with history to discover. During my college years, my roommate was obsessed with the movie “A Room with a View”. A 1986 classic starring Helena Bonham Carter, this movie follows the journey of an upper-class woman on her trip to Florence in the early 1900’s. We watched it dozens of times and this romantic classic inspired my love of Firenze and its gorgeous views and light. 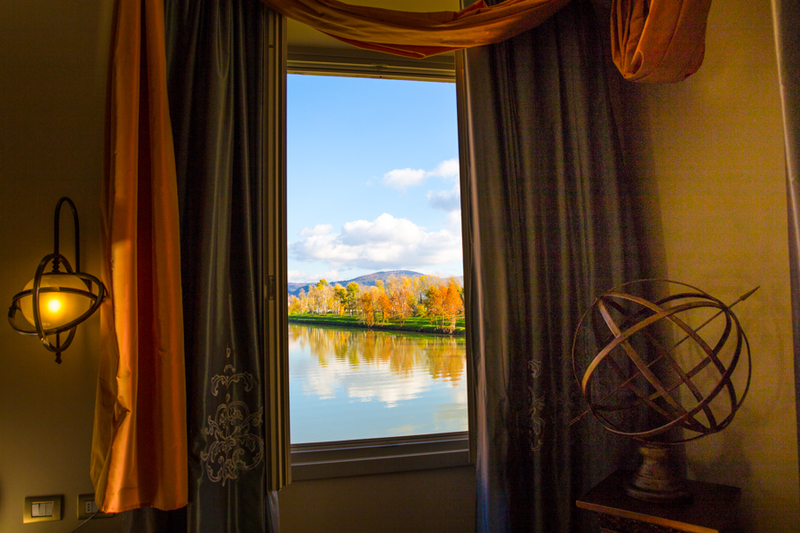 Don’t you agree that, on one’s first visit to Florence, one must have a room with a view?“ – Lucy in “A Room with a View”. On my fourth trip to Florence, I had the opportunity to finally stay in a “room with a view” worthy of this movie’s brilliant cinematography. The additional history and artistic touches in this hotel added more elements that I look for in my travels to make this hotel a 5-star experience for me. 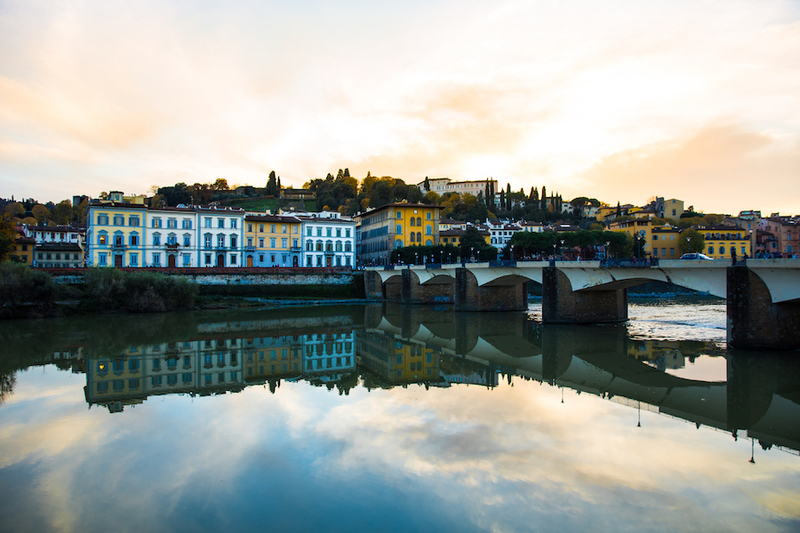 Ville Sull’Arno, from the Planetaria Hotels Group, is the new Luxury Boutique Resort Hotel in Florence along the River Arno. 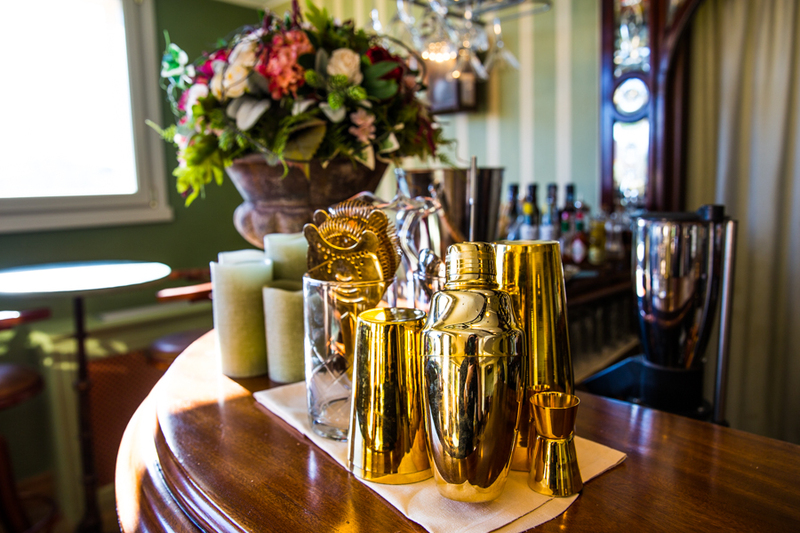 This 5-star boutique hotel blends art, modern style, and history throughout its common spaces and 45 rooms. The hotel has skillfully preserved history utilizing three different villa buildings to create unique areas for every interest. My favorite was my Tuscan room with a view. How can you not be wistfully carried away sitting in this gorgeous room with velvet touches looking out at these legendary Italian colors? The history of Ville Sull’Arno is part of the magic to inspire any stay at this wonderful property. 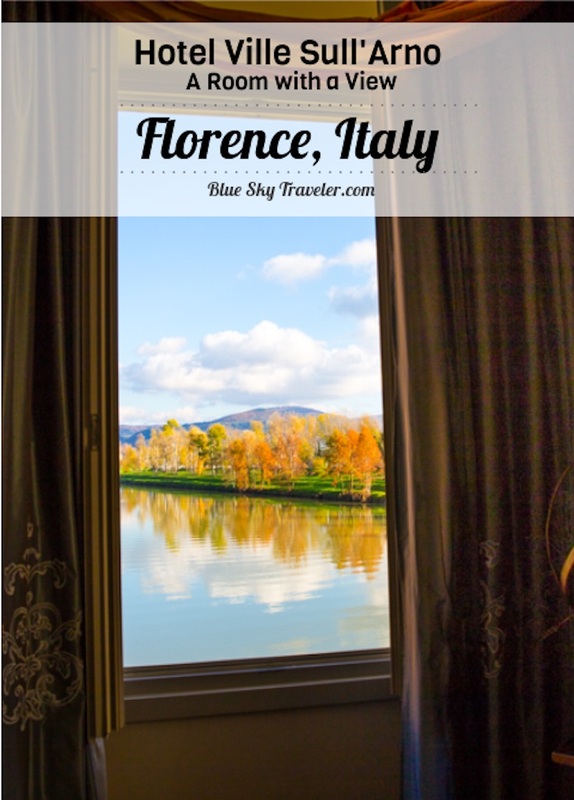 The beautiful country home was built in the 15th century as a country manor for aristocratic Florentine families including the Alighieri family. The home was called Villa di Bellariva and it’s easy to see why with gorgeous views of the River Arno. Don’t fear – Dante did not sleep here nor are there any Divine Comedy inspirations as Dante lived hundreds of years before the property was built. In the 19th century, the home was given to a group of Italian painters called the Macchiaioli painters. The Macchiaioli were essentially the Italian Impressionists breaking from the traditional Italian art schools by painting outdoors in order to capture natural light, shade, and colour. This short-lived Italian art movement pre-dated the French Impressionists by a decade, but is rarely heard about. The Macchiaioli are interesting artists to study as you can see their inspiration from the Italian greats of Rembrandt, Velasquez, Caravaggio and Tintoretto in capturing light and shadow but with their own personal style of capturing the natural effects of light “en plein” or outdoors. These artists were also deeply involved in the politics of the time leading up to unification of the Italian state we know today. Thankfully, their art and style has been preserved in the hotel. 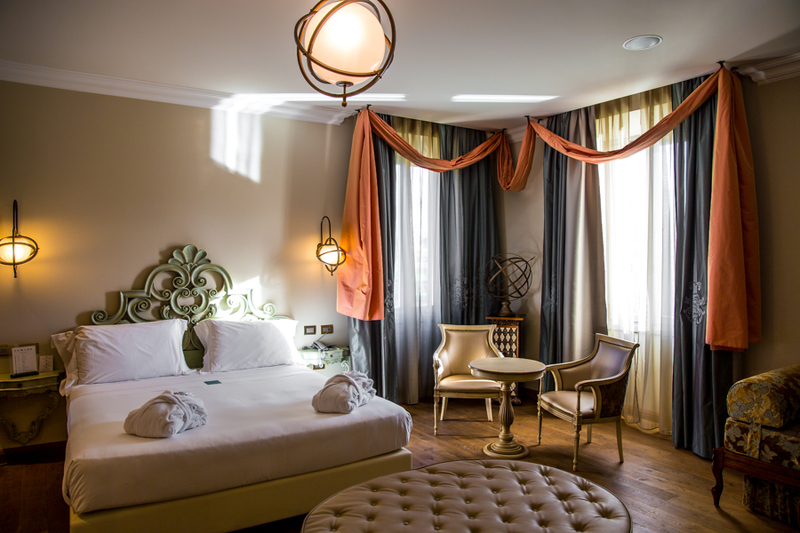 In 2013, after four years of meticulous refurbishment and conservation work by the Planetaria Hotel Group, Ville Sull’Arno became a 5-star boutique hotel. The Planetaria hotels in Italy are each a site to see. All have been transformed by the woman architect named Sofia Vodani who creates these magical places and also leaves an animal mascot with each hotel. For Ville Sull’Arno it is a large sculpture of a horse named Dante harkening back to the hotel’s first family. Back in the 15th century, the building was far enough out of the town of Florence to be considered a Tuscan country house. 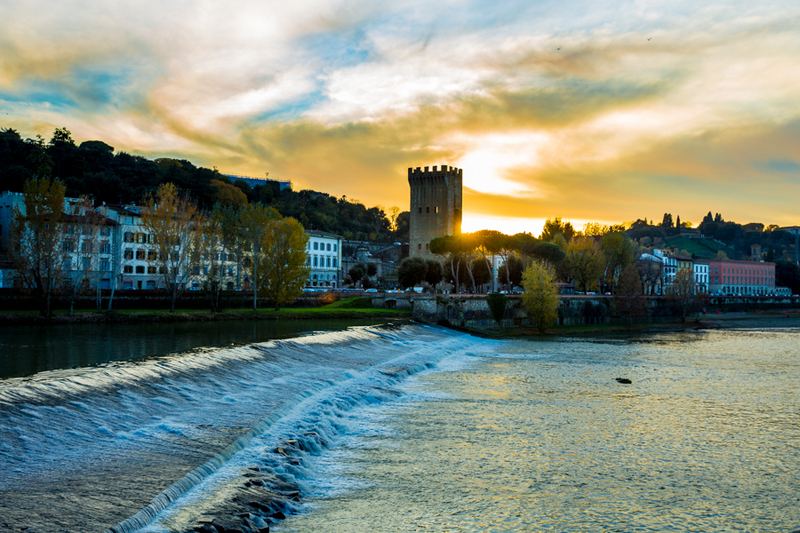 Today, Ville Sull’Arno is part of the city of Florence. Some will find the hotel’s location out of the town center as a plus with its ample parking and easy access via car. Others will find this a downside in that it will take ~30 minutes walking to reach the Ponte Vecchio / city center. 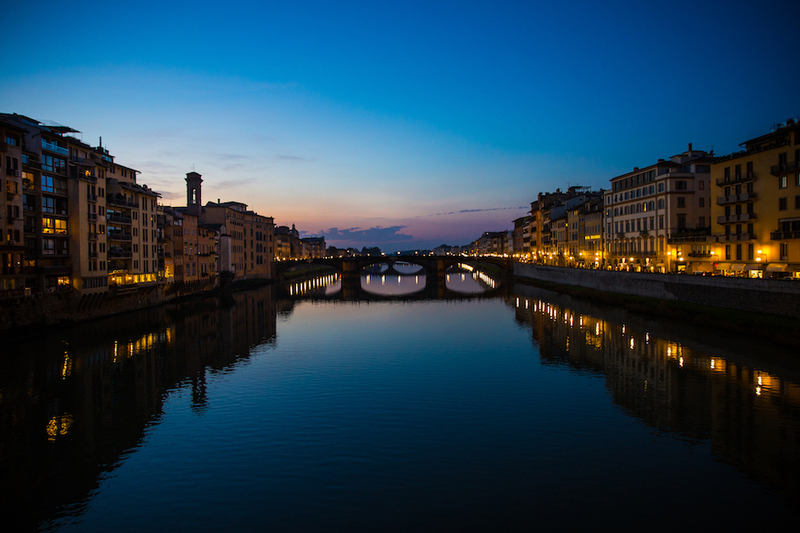 I went back and forth between the hotel and the city center several times via a leisurely walk on the Arno, a bike that I borrowed from the hotel, and the hotel’s twice daily shuttle with ease. 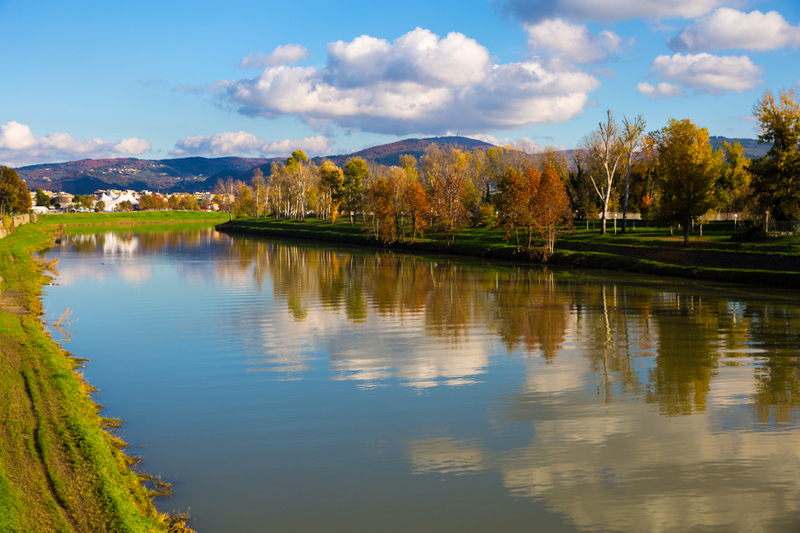 For me, the “commute” gave me time to enjoy the beautiful River Arno and take in Italy and that gorgeous Florentine light and also to find some new sights when I cut up through local neighborhoods to the city centre. 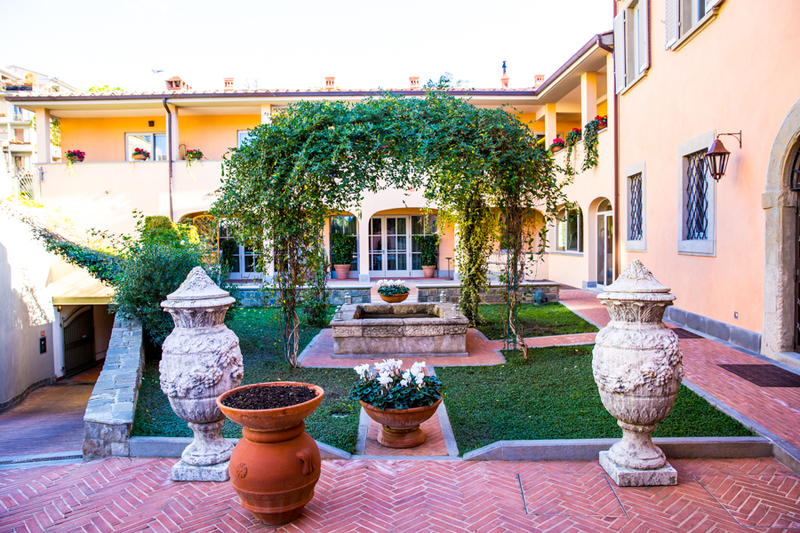 The Ville Sull’Arno consists of three Villas for a total of 45 rooms. 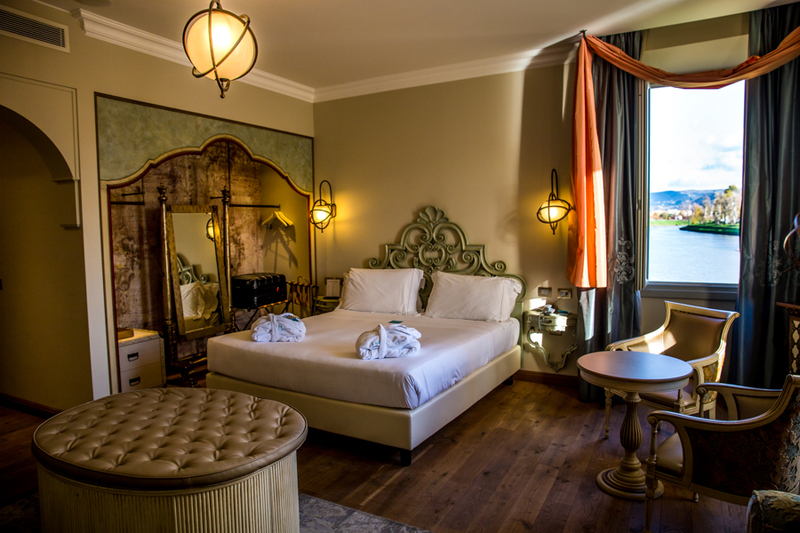 Each villa has its own theme and mood to create a unique stay in this elegant property. 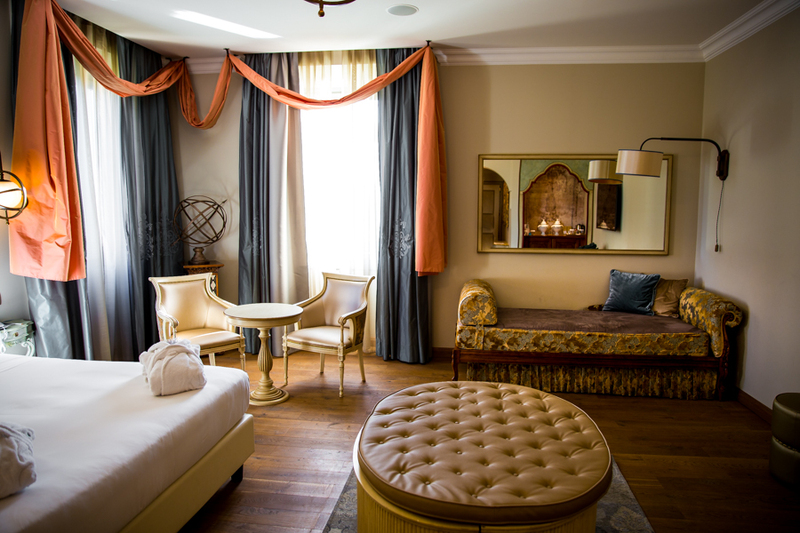 Each room is tastefully decorated and designed in every detail inspiring travelers with touches from the Grand tour age and Florentine art. La Villa: My room was in the main building called La Villa. It’s classic Renaissance with Florentine marble, wrought iron, wood inlays, Italian fabrics and textured painted walls. The theme was Goethe’s travels in Italy and foreigners’ love for the country and it hit the mark. Il Loggiato dell’Artista: These rooms have the most inspiration from the Macchiaioli painters with started paintings, painter’s tools, easels for painting landscapes of the Florentine countryside. Il Villino: The rooms of Il Villino SPA are more modern with en suite jacuzzis. They focus on the beauty of nature and the charm of the water. 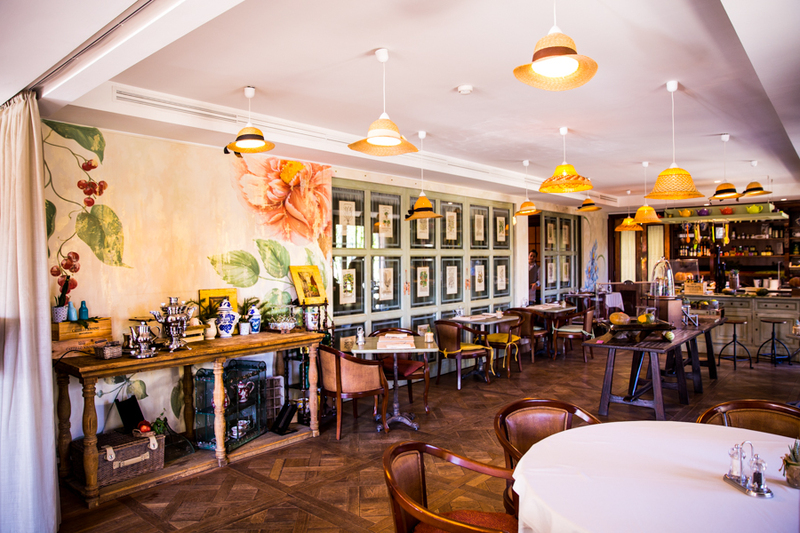 Flora & Fauno is the new restaurant at Ville Sull’Arno. 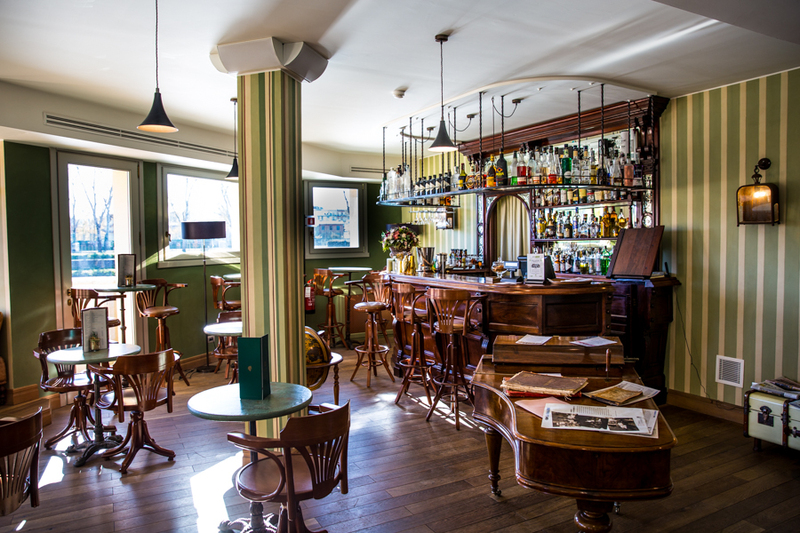 The food is divine with Italian favorites, the dining area has wonderful artistic touches and there is an old-world feel in the bar and sitting area. A perfect spot for a cappuccino or an evening cocktail. The spa is one of the jewels of the property. 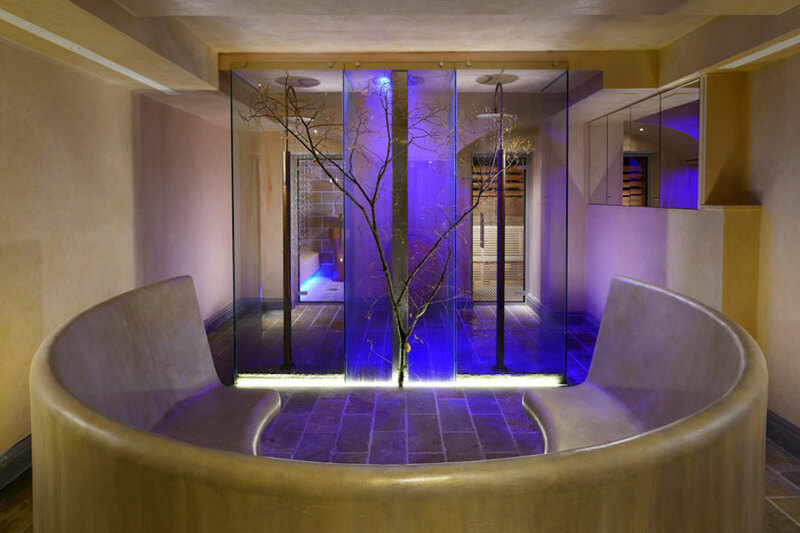 A huge caldarium invites you in to soak and stand under the waterfall washing away any worries. 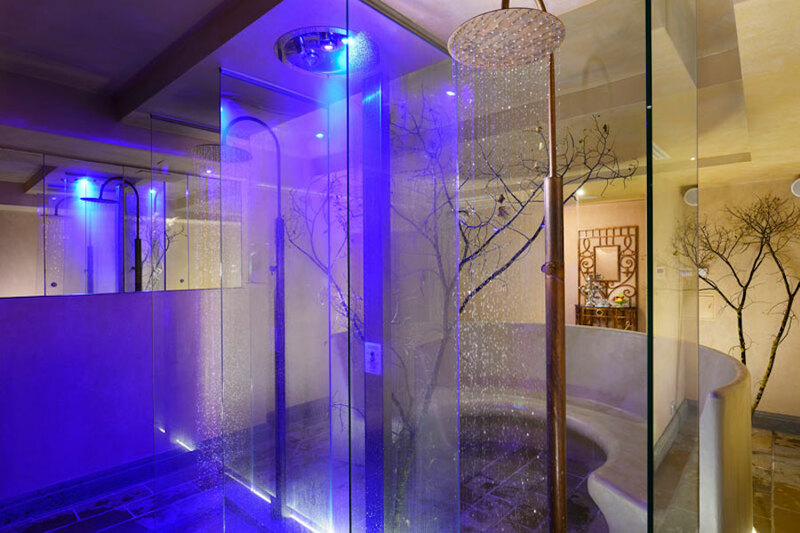 We also enjoyed the chromotherapy shower and sauna available on the property. I was sold the moment I walked into the room of the Ville Sull’Arno and saw those gorgeous views of my room with a view on the River Arno. 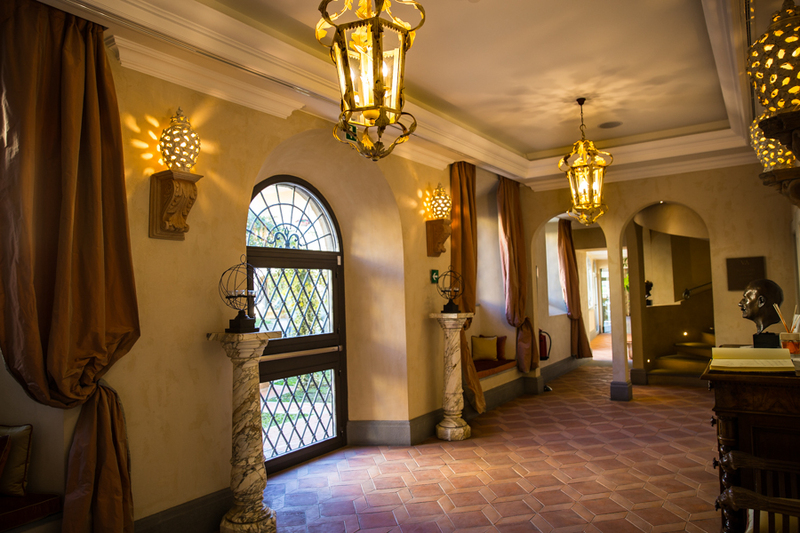 The property continued to deliver with elegant artistic touches throughout the hotel giving it a true artists touch, a spa to take away any worries, and a quiet retreat away from the hustle and bustle of central city of Florence. Grazie! 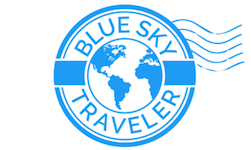 BlueSkyTraveler was welcomed as a guest of the Ville sull’Arno, however all opinions are my own. Is Florence, Italy on your bucket list?